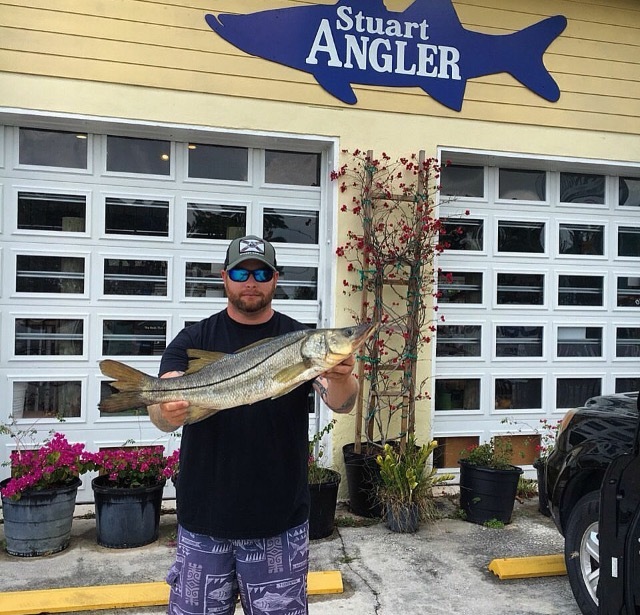 We would like to congratulate all the local anglers that have come by with a keeper snook to win a Stuart Angler lucky hat! 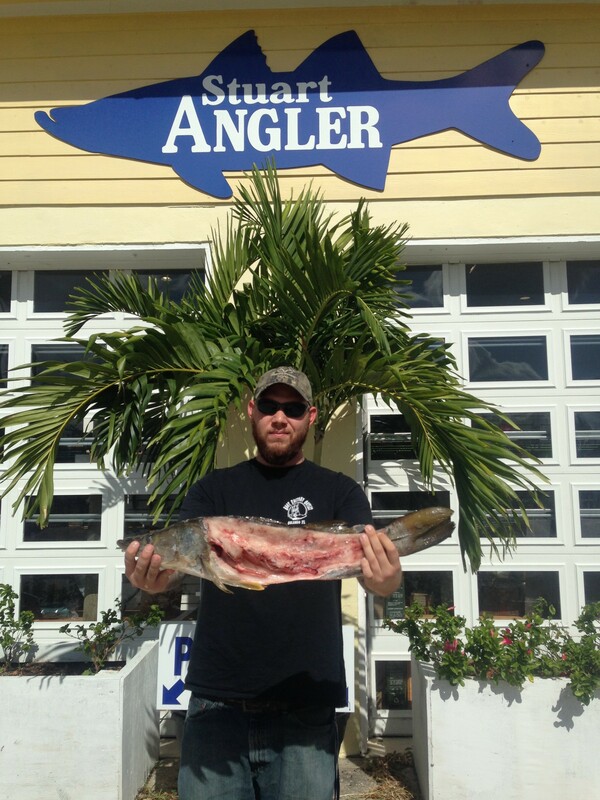 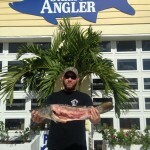 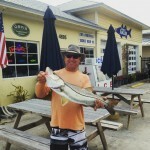 As we approach the end of snook season, we’ve had 16 anglers stop by with a keeper snook so far. 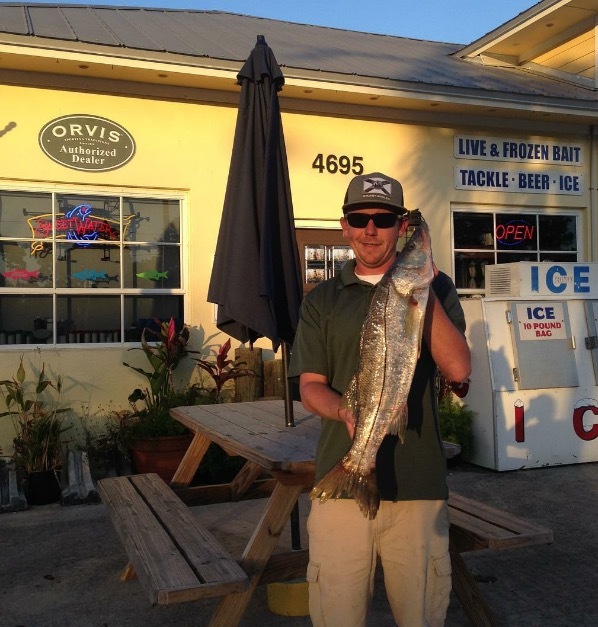 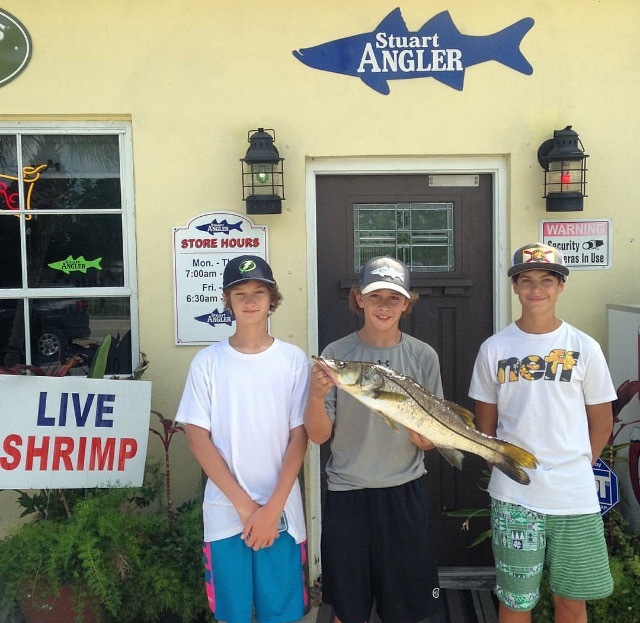 The snook season will end on December 15th, so hurry up and catch a keeper! 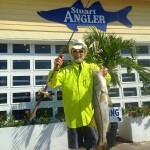 This time of year, the snook like to sit low around the bridges. You can catch these snook day or night using 1-2 oz. 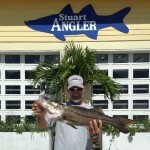 First Light jigs along the bottom. 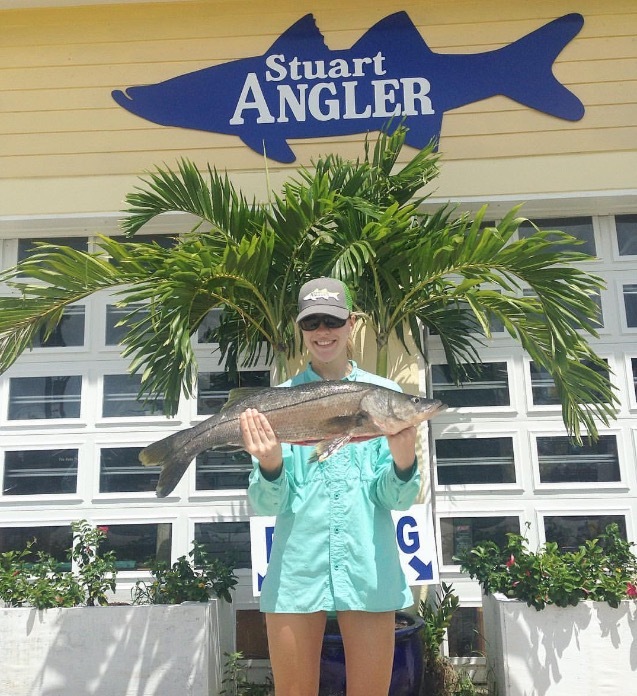 Simply cast the jig up-current parallel along the bridge abutments and fenders. Reel the lures down-current near the bottom with a steady retrieve. 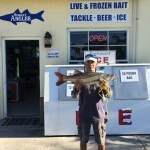 Don’t bother to bounce the jigs much with a jogging motion. 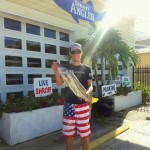 Just a simple, steady retrieve, and hold on tight!! 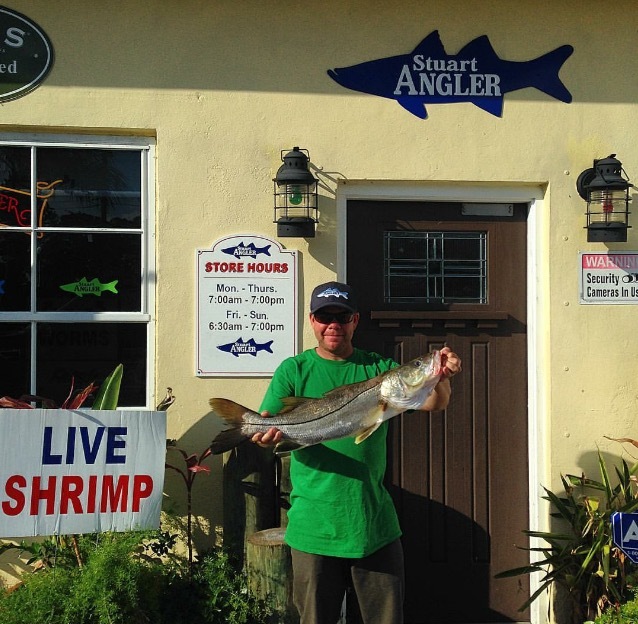 Most anglers prefer outgoing tides, yet both work. 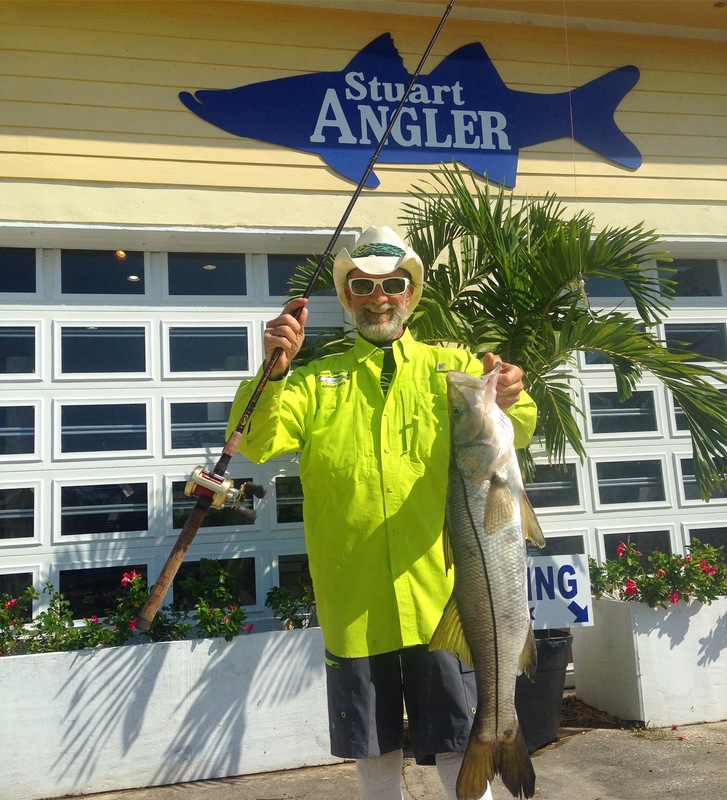 The faster the tide is moving, the closer the snook will hang around abutments and fenders. 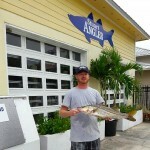 The best moon phases are full moon and new moon. 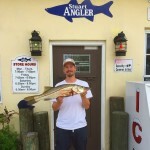 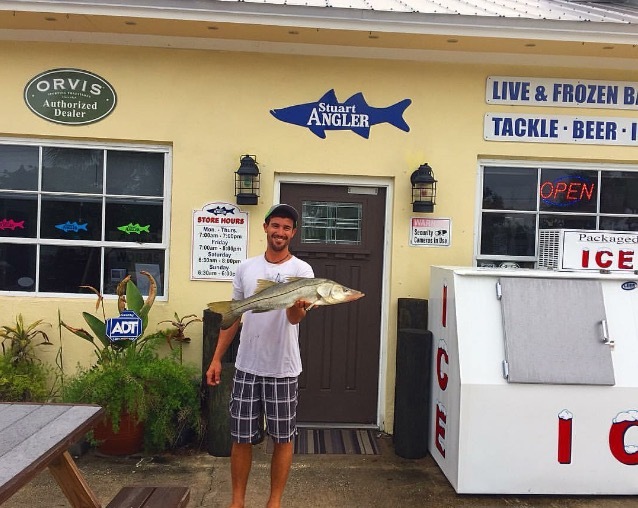 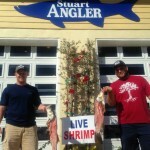 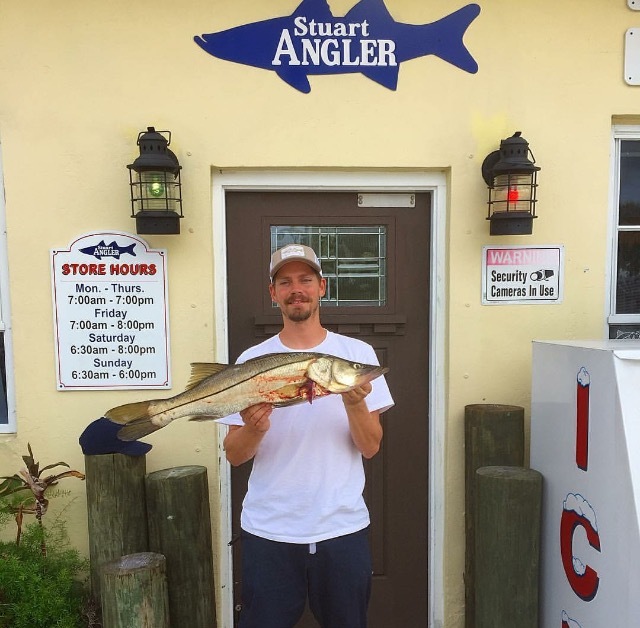 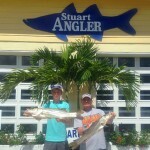 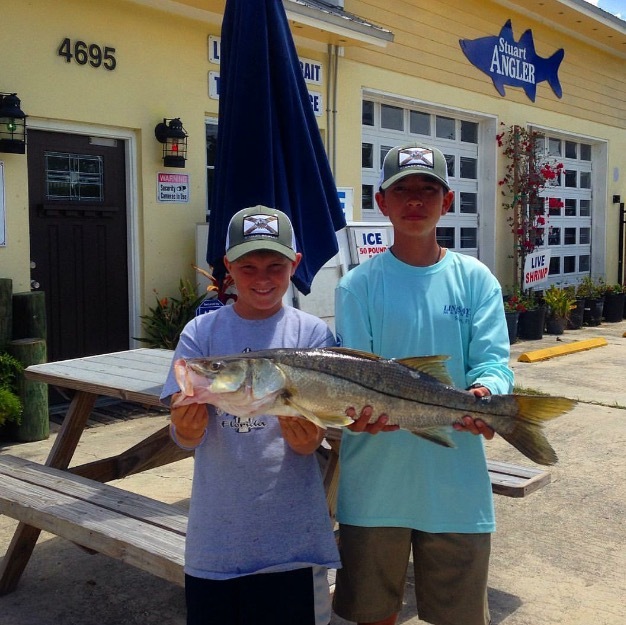 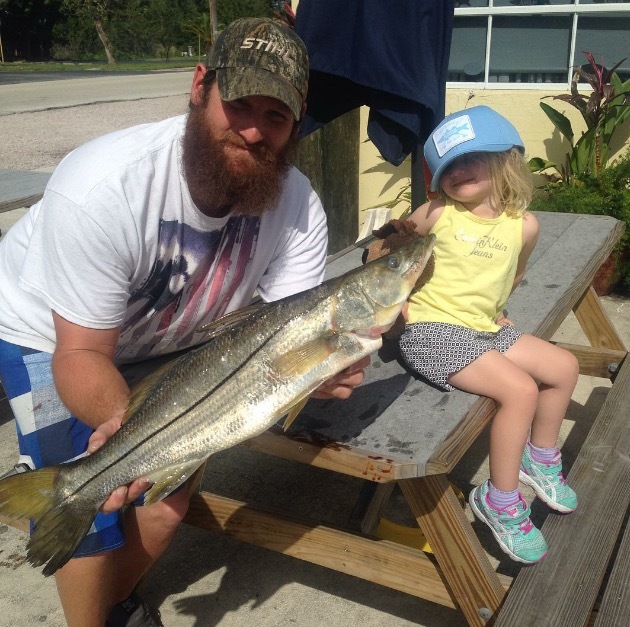 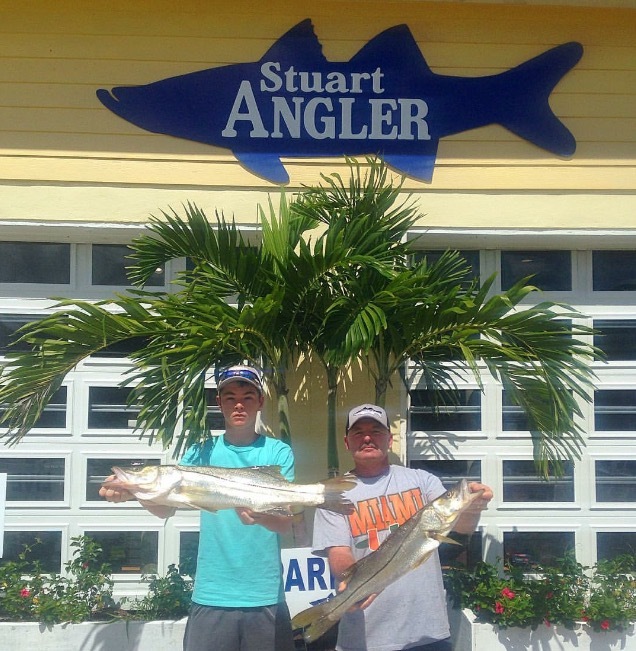 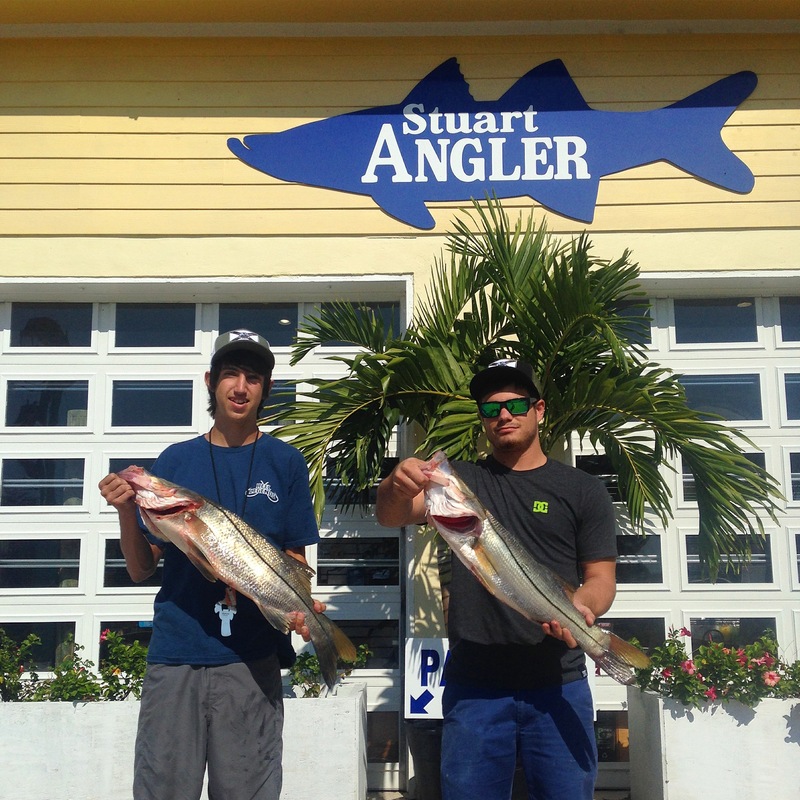 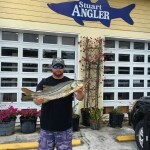 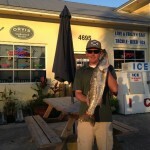 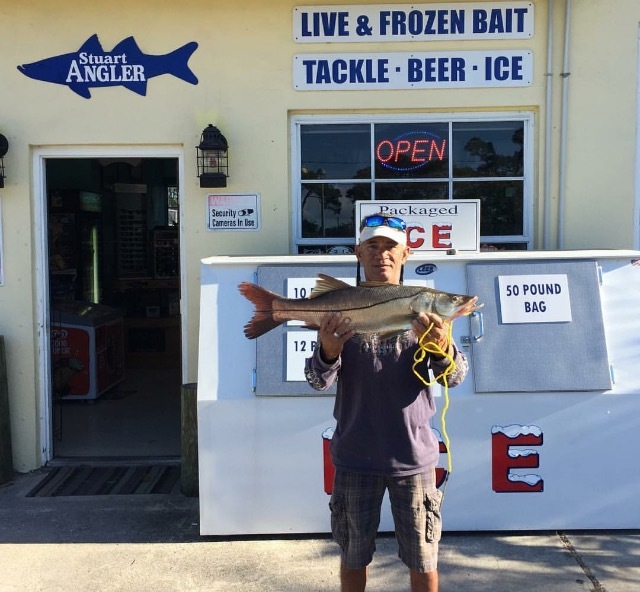 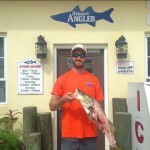 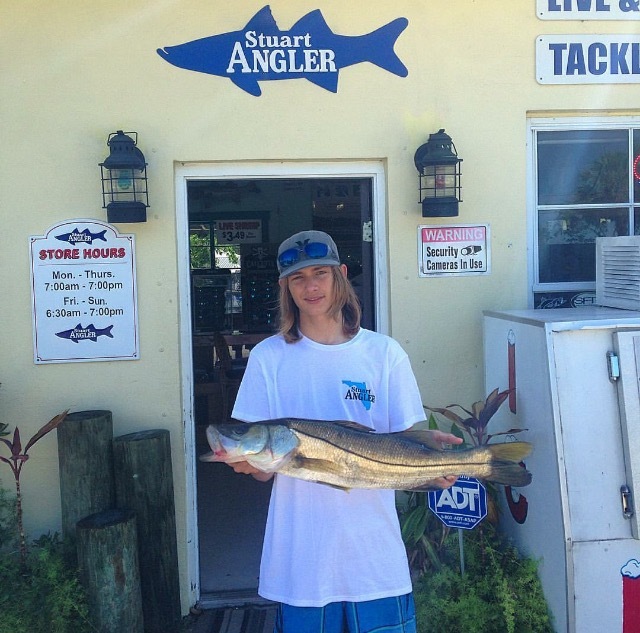 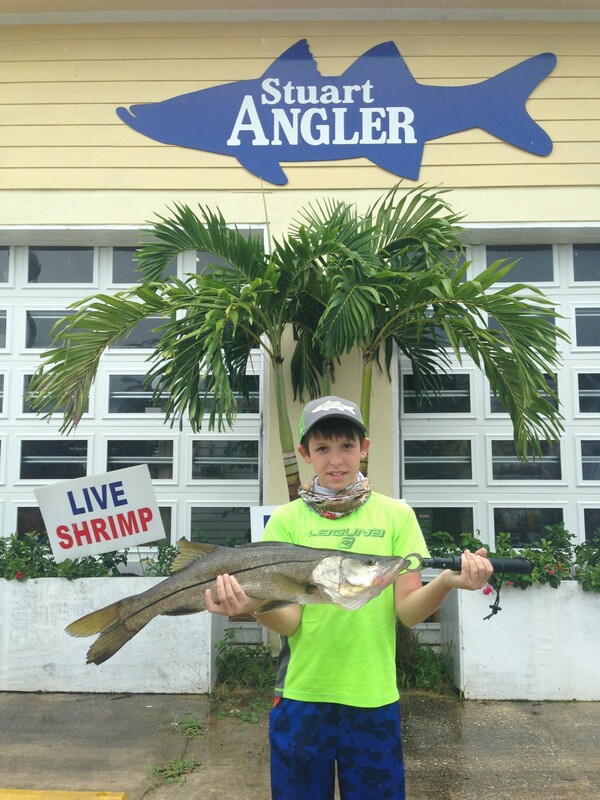 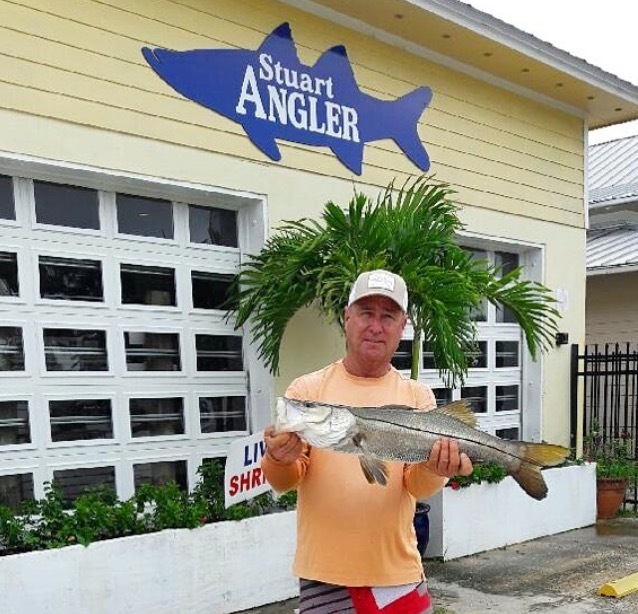 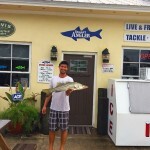 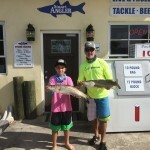 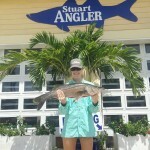 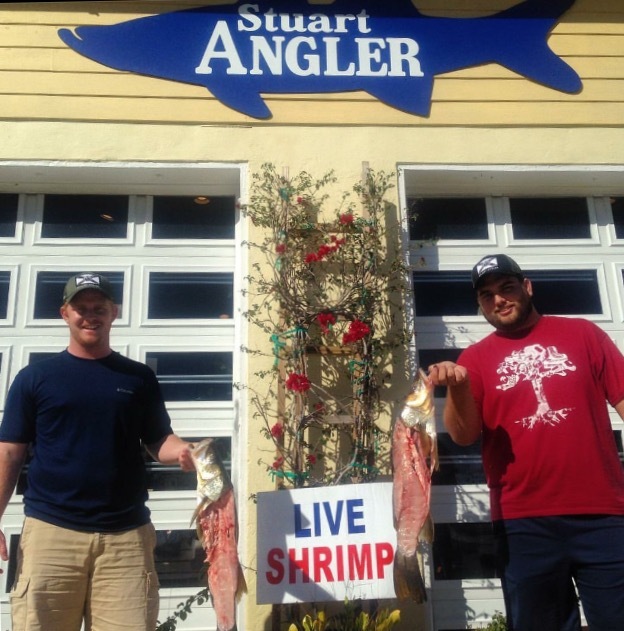 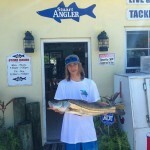 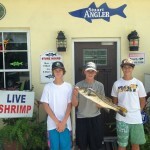 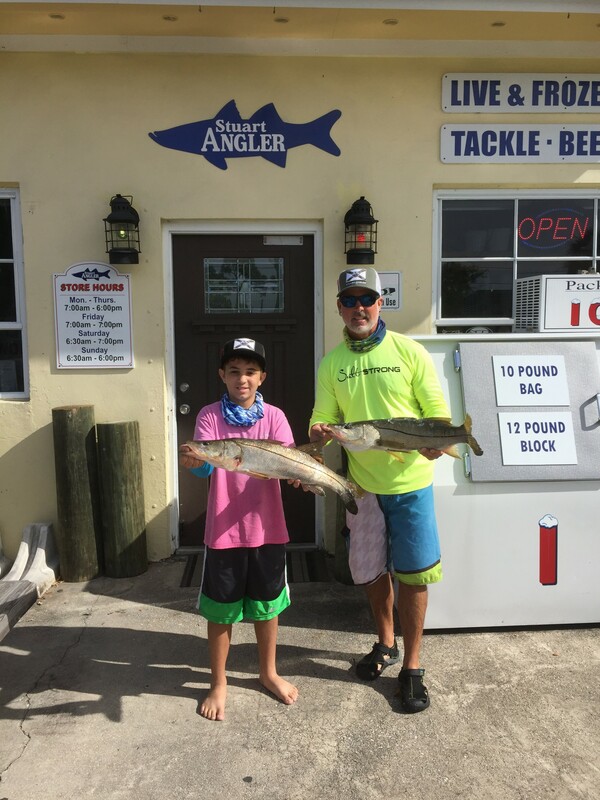 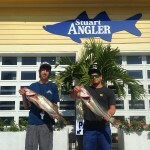 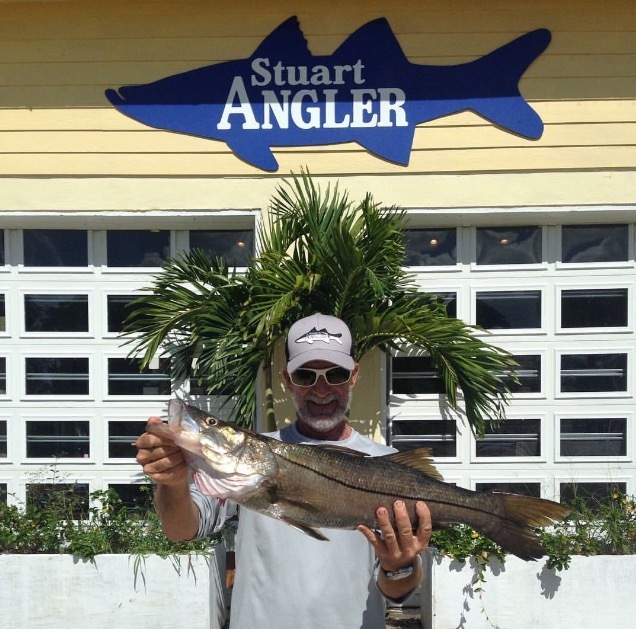 Stuart Florida anglers win lucky hats with keeper snook.